In 1957, Eskel Peterson was in Firth Idaho helping Rex Frandsen cut potato seed by hand. When he began thinking of a better way to cut potato seed. That day started a commitment that he believed would change the potato industry forever. 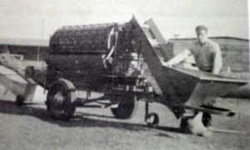 Through Eskels hard work and experimentation, the Potato Seed Cutter became a reality. 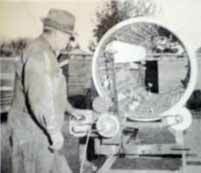 On June 11th, 1959 The Daily Bulletin in Blackfoot Idaho, interviewed Rex Frandsen about Eskel's potato seed cutter. "Rex said that with the few changes Peterson made to the seed cutter, it could cut up to 500 sacs a day, and pay for itself in a single season." In its present stage it did the work of 9 men. From that day on, the company known as Better Built Manufacturing was born. Eskel's sons Ray, Leroy, Romell, Paul, Larry, and Buddy helped him build potato equipment. After Eskel passed away in December of 1986, his sons took over the family business and continued with his work. "The Peterson Family that started 50 years ago, is still designing and manufacturing potato equipment today." "With the help of the third generation and All Star Manufacturing & Design LLC, we will continue to design and build our equipment the way the customers want them."